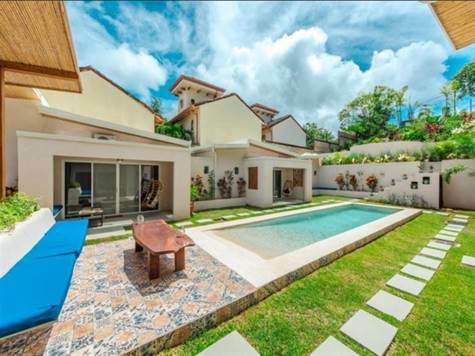 Beautiful Charming new 6 key boutique hotel located in Tamarindo and already a top favorite on all major travel sites!! "La Ramona Charming Hotel" consists of a total of six deluxe suites of endless charm designed and constructed by noted Argentinian Hotel operators since 1902, they have paid every attention to detail in the modern design and are proud of presenting the first small charming hotel in Tamarindo La Ramona. It is an intimate, warm, peaceful and modern space, in the middle of Tamarindo, close to the sea but far from the noise. Travelers that enjoy these small charming hotels are ones that are not looking for a conventional 4 or 5 star hotels, but rather a personal, luxurious service similar to the comforts of being at home. La Ramona has its own special charm and you'll feel it as soon as you pass through the entrance. Please contact exclusive listing agent for all showings.